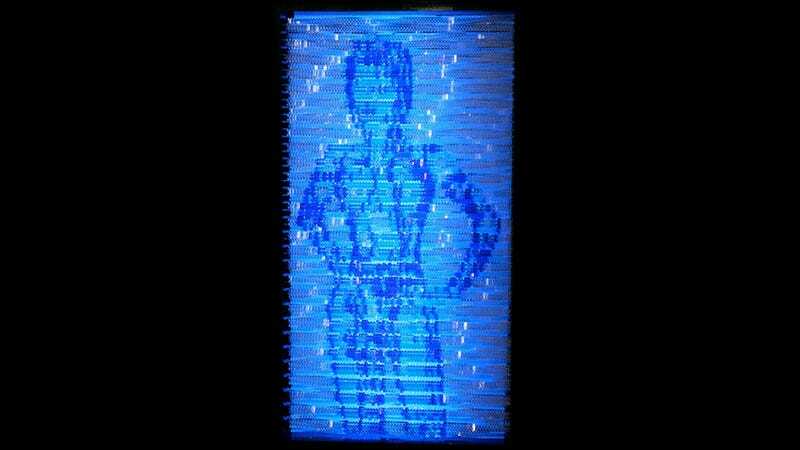 OK, if we're going to be honest, at face value, this LEGO depiction of Halo star Cortana doesn't look that great. It's "2D", and in places looks more like ASCII art than a portrait. But there's a reason for that. This isn't supposed to resemble Cortana's 3D model in the games. It's meant to resemble the holographic effect she displays, which is accomplished by building rows of 1x1 round pieces and then spinning them in front of a light source. It was built by Mosaic Bricks, and you can read a full rundown of how it was made below.